Ebola, a deadly virus that has infected patients in ten African countries. Today the second infected American doctor with the virus arrived in Atlanta. However, health officials in Brainerd don’t think it’ll affect us. 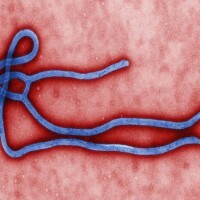 The Ebola virus is a fever. Some of the symptoms include: fever, diarrhea, vomiting, joint pains, muscle aches and in some more extreme cases, hemorrhaging and bleeding on the inside and outside of the body. But health officials the virus doesn’t spread through the air. With little known about the Ebola virus, the Minnesotans I talked to were split on whether they should be worried about the virus spreading. Essentia Health says they have a list of what to look for from infected patients. They also recommend their patients talk to them before taking trips abroad. Essentia Health says we should relay on the Center for Disease Control and the World Health Organization to do their job and keep the virus contained.